Sony’s new Xperia X line, the series of phones that was introduced back in February at MWC as a replacement for the Xperia Z line, is officially inching closer to a launch here in the US. Sony, probably as an announcement timed to fit nicely into the blast of Computex announcements, told US press today that the Xperia X series will get here just as the summer is kicking off. The Xperia X is up for pre-order today for $550 at Amazon, Best Buy, and B&H Photo, and will arrive on June 26. If you want the Xperia X Performance ($699) or the Xperia XA ($279), you can pre-order either on June 19 before they hit stores on July 17. If the Xperia XA Ultra ($369) is the phone for of your dreams, July 24 is your day. 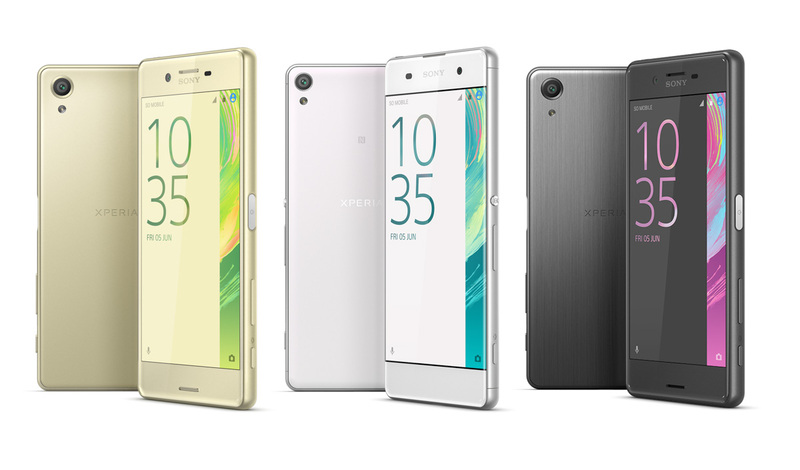 Need a recap on the Xperia X line? Here are the specs of the phones that really matter, the X and X Performance. DIMENSIONS 2.7 x 5.6 x 0.3 in. 2.8 x 5.7 x 0.3 in. As you can see, these phones both have solid specs, though the pricing seems a bit high for what you are getting. At $550 for the Xperia X, you can get a 64GB Nexus 6P, which tops the Xperia X in almost every single category. At $699 for the Xperia X Performance, we’re now up there in Galaxy S7 Edge territory where this phone just can’t compete with Samsung’s flagship for 2016. Oh, and even though the official specs say that they have a fingerprint reader, they more than likely don’t in the US. To learn all there is to learn about the Xperia X line (including the XA models), head over to Sony’s site.